Maybe you remember way back in June when Burgers and Brews was going on? You know, the festival where you get to eat tiny burgers and drink craft beer in profusion at the Capitol Brewery beer garden? Well, unfortunately for me, when I went to purchase tickets to said event, I found that they were sold out. Not to be deterred, my husband and I decided to throw our own version of Burgers and Brews in our backyard, and it was pretty spectacular. We got to fire up the grill, cook up some delicious burgers, and taste beers of all kinds (this is where our overly huge collection of tiny beer sampling glasses really comes in handy). Best of all, my friends and I got to get creative and come up with some original burgers of our own to make. Enter my creation, the Banh Burger. This burger, as you may have guessed, was inspired by the Vietnamese Banh Mi sandwich, a delectable combination of pork, pickled veggies, cilantro, and spicy mayo. I absolutely love Banh Mi, so I figured making a burger version would be pretty amazing. And just like that, the Banh Burger was born. So, in light of the wonderful weekend weather that appears to be heading this way - no rain, not too hot, low (er.. lower) humidity - I figure a good burger recipe is just what we need, as I’m anticipating some serious grilling is going to be happening in the near future. Note: These burgers are quite delicious no matter what, but If you can get some good local ground pork (I used pork from Jordandal Farms, which I picked up at the farmer’s market), they’ll taste even better! Also, this recipe will make more spicy mayo than you’ll probably need for just the burgers. But that’s okay, because you’ve just created an amazing condiment that’s great on pretty much any sandwich you can think of (I love putting it on BLTs in particular) - I know you’ll find a use for it! 1. To make spicy mayo, mix all ingredients until combined. Store in the refrigerator until ready to use. 2. 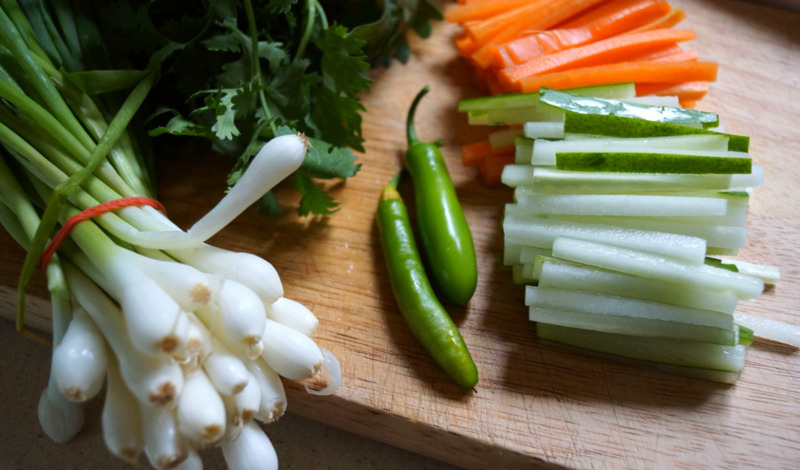 For pickled veggies, combine the carrots and cucumbers with the salt and sugar. Let sit for 5-10 minutes, then drain, put in a jar or bowl with the rice wine vinegar and enough water to cover them completely. Let sit while you prepare the burgers. 3. 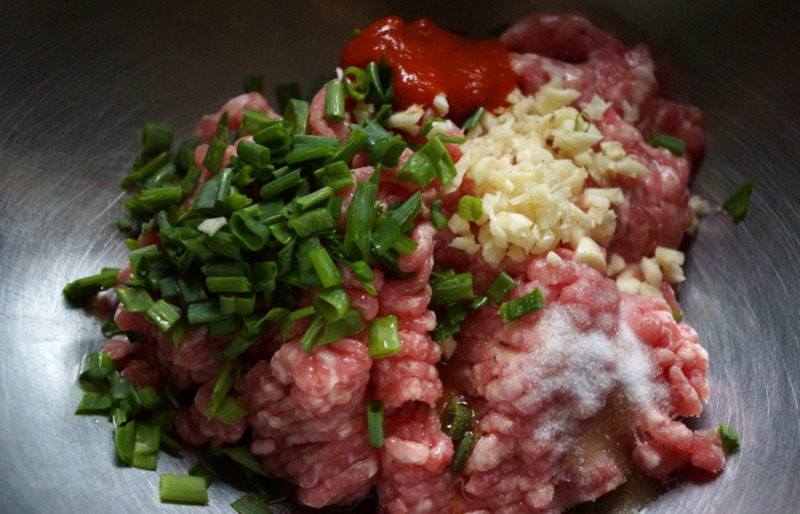 For the burgers, mix pork and next 6 ingredients (through salt) together in a large bowl until fully combined. Shape into patties. You should be able to get 4 regular sized patties or 8 slider sized patties. Grill burgers until they reach desired degree of doneness. 4. To assemble, cut buns in half and put 1 burger on each bun. Top with pickled veggies, sliced jalapeno peppers, cilantro sprigs, and spicy mayo.